The Minister discussed important issues in the area such as biodiversity, upland farming, and rural broadband access. Secretary of State for Defra, Caroline Spelman visited the Great Yorkshire show this week to meet people involved in farming and the rural economy in Yorkshire. 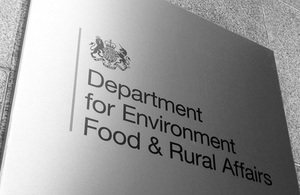 Mrs Spelman met representatives from groups such as Natural England, the National Farmers Union, the Country Land and Business Association and Deliciously Yorkshire, a regional food group. Whilst enjoying the show and the atmosphere at the Great Yorkshire Showground in Harrogate, the Minister discussed important issues in the area such as biodiversity, upland farming, and rural broadband access.